As the biggest pop culture event on the East Coast, New York Comic Con (NYCC 2016) is always on the radar of every comic fan out there. For students studying at NYFA’s New York City campus, the opportunity to check out this highly-anticipated event should not be missed. The amazing panels alone make this anticipated event worth the trip. DC All Access will offer talks from the people behind “The Flash,” “Supergirl,” and the “DC Comics Bombshells” series, as they give a sneak peak at the anticipated “Justice League vs. Suicide Squad.” Robert Kirkman will also make an appearance in a “The Walking Dead” panel to discuss what’s next for the Image Comics series. Other notable panels not to miss include Tales From the Tardis with Matt Smith, Alex Kingston and Jenna Coleman, as well as World Premiere & Adam West, Too: Batman: Return of the Caped Crusaders. 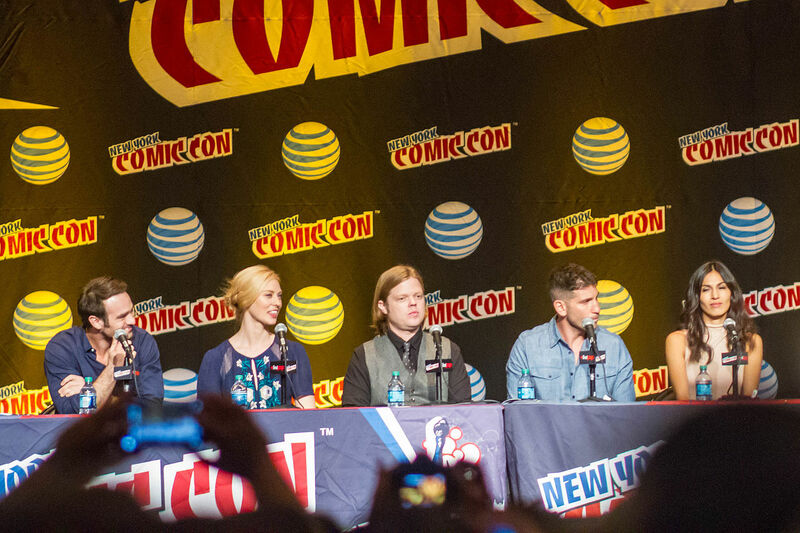 Check out the official NYCC 2016 panel schedule to get your chance at meeting the creative minds behind your favorite works. The art of cosplaying has exploded in popularity thanks to a growing subculture of die-hard fans. To see people dressed as their favorite characters or join them yourself, NYCC is definitely the place to go. There are also plenty of events aimed to encourage people to cosplay and have a blast. In fact, things kicked off a week before the actual event with a Pre-NYCC Cosplay Cruise — in other words, a cosplaying party on a yacht. The biggest cosplay gatherings during the main event include Crossplay Cosplay Contest & Celebration, We the Heroes Ball, and Comic Con Vixens. Of course, you won’t have to attend any specific affairs to see great cosplay, since participants will be walking around all over the exhibition floor, ready to pose for a pic. Although NYCC 2016 is still primarily focused on comic books, it’s also become a great place to go if you’re a video game fan. In fact, a large number of cosplayers that show up every year are representing characters straight out of their favorite digital worlds. This year there’s plenty to check out if you’re a gamer. New York Comic Con ’90s party will have a Spectacular Video Game Room complete with a Mario Kart 64 World Championship tournament. Gaimova’s After Party 6 will also have tournaments for Smash Bros Wii U, Street Fighter V, and several classic Xbox live and PSN games. Square Enix is even throwing a Demo Night featuring Deux Ex: Mankind Divided and the new Hitman. Mashfest NYCC Kickoff Party will have more than a dozen games available to play as well. The heart of NYCC 2016 is the near-endless number of exhibitors ready to show off their latest comics, video games, and more. It’s your chance to buy awesome merchandise, get a first look at new stuff, sign up for giveaways, and meet artists. 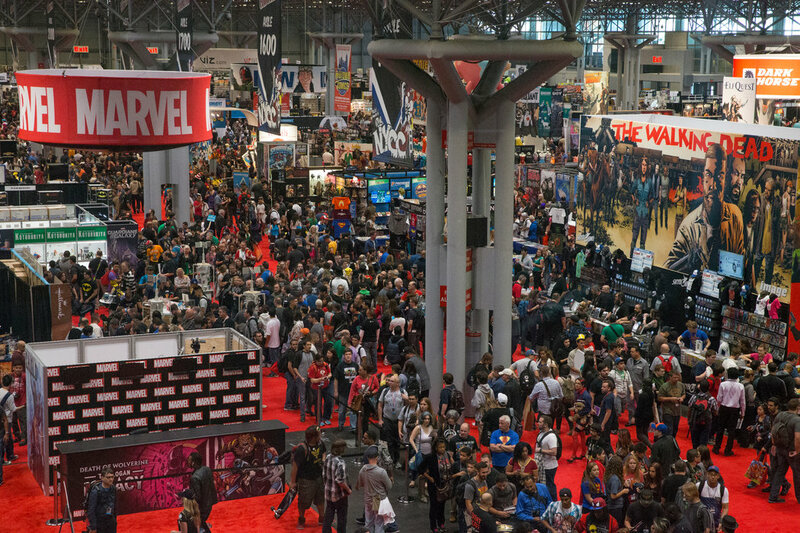 Just like every year, NYCC 2016’s event will bring together an incredible number of worthwhile exhibitors. These include BANDAI NAMCO Entertainment America, BOOM! Studios, DC Entertainment, Doctor WHO Store + Alien Entertainment, Double Take, GoComics, Black Mask Studios, and many more. 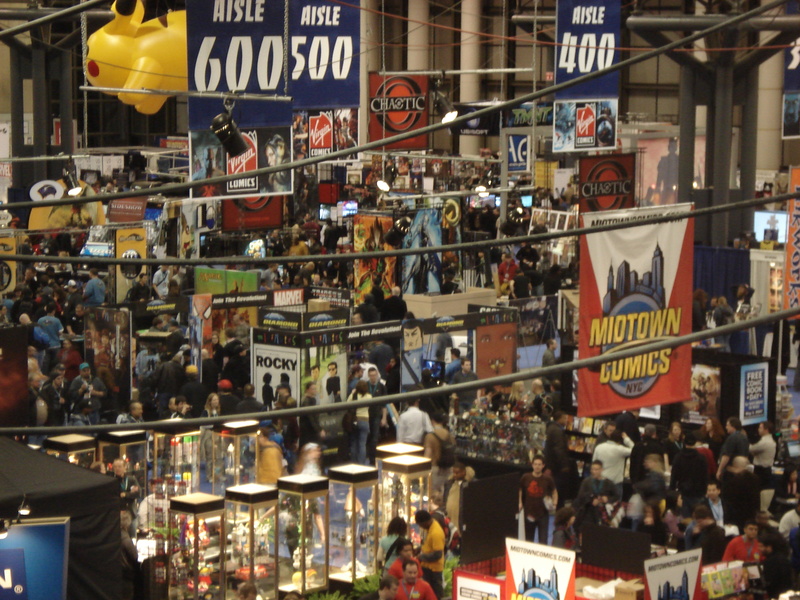 Are you planning on attending NYCC 2016? What are you most looking forward to? Let us know in the comments below! Learn more about Game Design at the New York Film Academy.